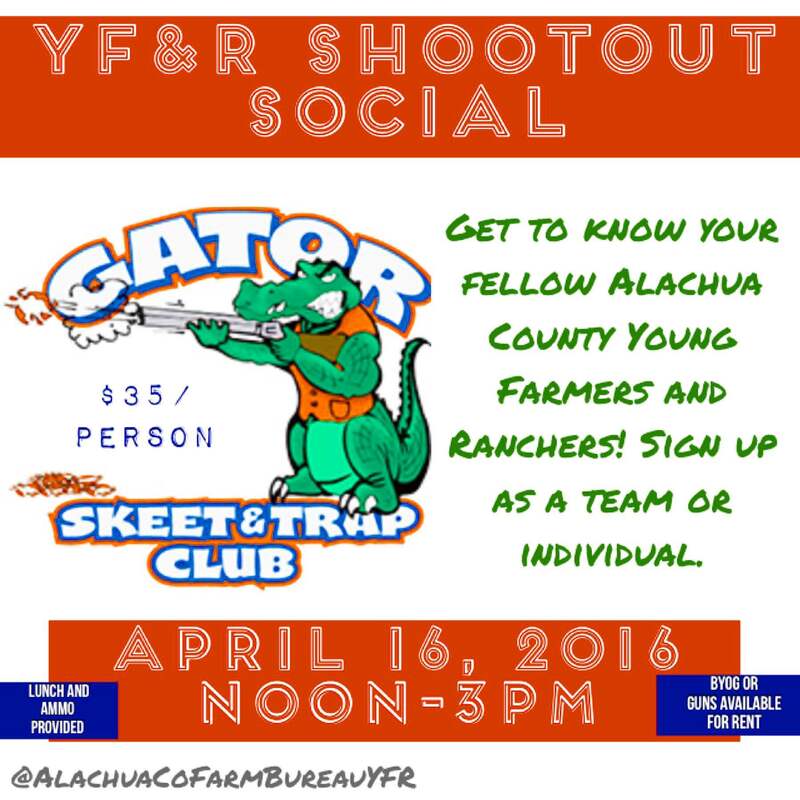 Join us April 16th for an afternoon of fun with your fellow Alachua County Young Farmers and Ranchers! Range fees, lunch, ammo, and prizes will be covered for all RSVP’d participants! Email AlachuaCoFarmBureauYFR@Gmail.com to reserve your spot today!